Technically, the CFP will work with multimode fiber for short-reach applications, but it is not really optimized in size for the multimode fiber market, most notably because the multimode fiber market requires high faceplate density. The CXP was created to satisfy the high-density requirements of the data center, targeting parallel interconnections for 12x QDR InfiniBand (120 Gbps), 100 GbE, and proprietary links between systems collocated in the same facility. The InfiniBand Trade Association is currently standardizing the CXP. The CXP is 45 mm in length and 27 mm in width, making it slightly larger than an XFP optical module. It includes 12 transmit and 12 receive channels in its compact package. This is achieved via a connector configuration similar to that of the CFP. “The CXP actually has two such arrangements with high-speed connections on two different levels,” notes Traverso. 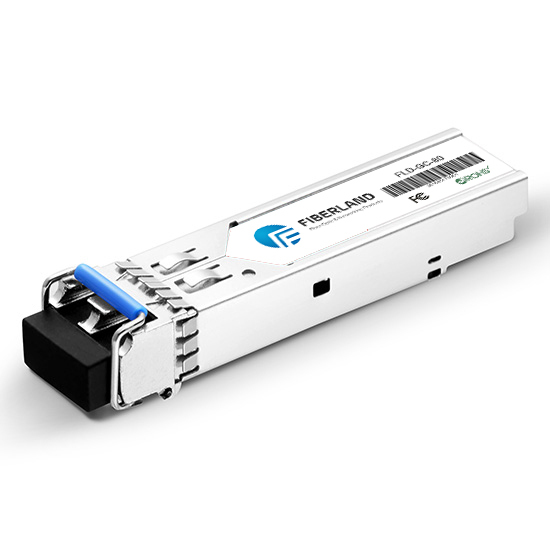 “They kind of folded it, so they are able to make the module much narrower and still have space for up to 12 data lanes.” For perspective, the CXP enables a front panel density that is 9× greater than that of an SFP+ module running at 10 Gbps. Of the trio that launched the CFP MSA, only Finisar has a CXP offering, and it is currently in the sampling stage. Sumitomo Electric Device Innovations USA is in the R&D phase on an active cable using the CXP form factor, reports Iwadate, who adds that his company is still weighing the market opportunity. By all accounts, the CFP and CXP form factors are complementary, with the CFP likely gaining traction in applications like Ethernet switches, core routers, and optical transport equipment, and the CXP covering the data center market.